You are viewing Home / News / POSITIVITY DAY CREATES SUPERSTARS! Positivity Day is a community wide celebration of the benefits that come from having a positive approach on the way we live, work and play. 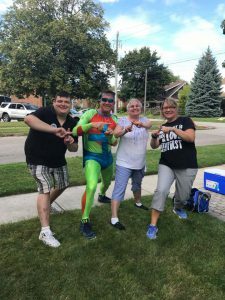 Between September 4 – 15, Chatham-Kent will celebrate “12 Days of Positivity.” During this time, the community will have different theme days, including Not-For-Profit day on Friday, September 8. Employers, schools, community groups and individuals will celebrate positive thinking throughout Chatham-Kent on Friday, September 15. The day will recognize the benefits of positive thinking and the amazing potential positivity has to improve our lives and our community. Visit www.positivitydayinck.com to view all the videos, and the positive things that are happening in Chatham-Kent!